As a business owner, I know that building business is a natural focus throughout each year, but the new year always inspires that special impulse to try to predict: What opportunities will the new year bring? What’s in store for my business? Great focus on the bottom line and other aspects of our businesses seems to be heightened as we start anew on January 1 — whether it’s the start of a new budget year or simply a marking point for doubling down on our objectives. “Did we do what we said we would do in 2017?” “Will 2018 be a better year?” Well, many seem to think so. In fact, they think a focus on labor, capital and customers this year will pay off on productivity and the bottom line. As someone who gets to be strongly involved with others’ businesses in the Valley, I was asked by my editorial staff to lead this issue as we aggregate the thinking of many whose job it is to dig deep into economic opportunity and development, to arrive at some direction and forethought as we look at the New Year. It is the mission of several business and economic development organizations to advance the growth of business in our community. For the cover story, we asked five of our local “gurus” to share the view from their perspective on what lies ahead in 2018 — plus, give us a peek at their wish list for strengthening the environment for business growth. And, addressing the topic from a different angle, three organizations that nurture the leadership which helps create that environment share their views of key factors for strengthening the community. Communication is recognized as a critical component of business intelligence. This is increasingly true in today’s global economy, where businesses of all sizes pursue connections and opportunity across borders and around the world. In an exclusive feature article, Rosetta Stone, a leader in language training, shares insights gleaned from a recently released study on the value of a multilingual workforce to the overall success of a company. Speaking of global commerce, for our Roundtable forum, Andrew Maltz, an associate professor at ASU’s W. P. Carey School of Business and an associate at Global Logistics Development Partners, examines supply chain issues as they relate to what has become the high-profile issue of cross-border trade with Mexico. The office investment and lending landscape is the subject of the By the Numbers feature, looking at trends over the past 20 years and how Phoenix ranks against other major metropolitan markets. And the Legal feature examines the impact of some tax structures in spurring commercial investment in certain areas. This month’s issue contains the first installment of a three-part education series on benefits and strategies for businesses in helping their employees in the realm of personal finance. And debuting this month is “Startups,” a department focused on entrepreneurial activity in the Valley. 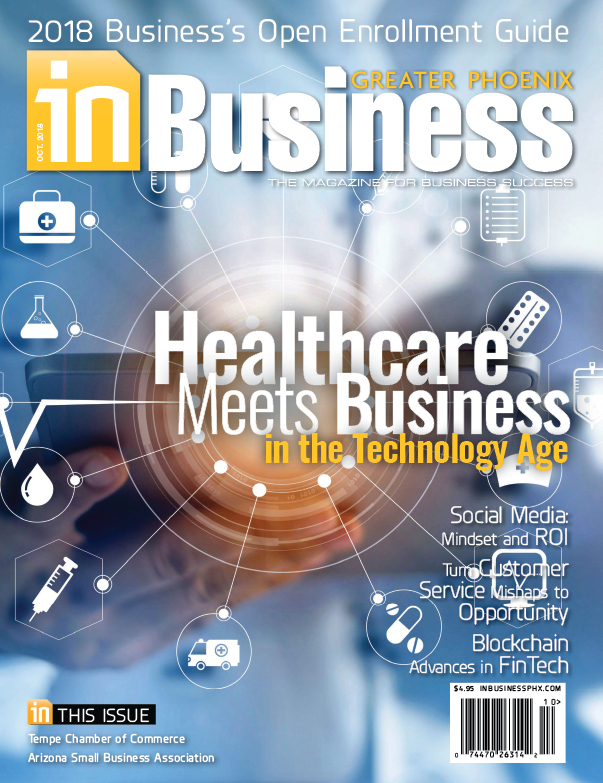 With its varied content on relevant business topics, I believe our publication continues to be a valuable resource for businesses of all sizes and connects businesspeople to what matters in growing their business. We appreciate the support of this business community and look forward to another great year ahead. 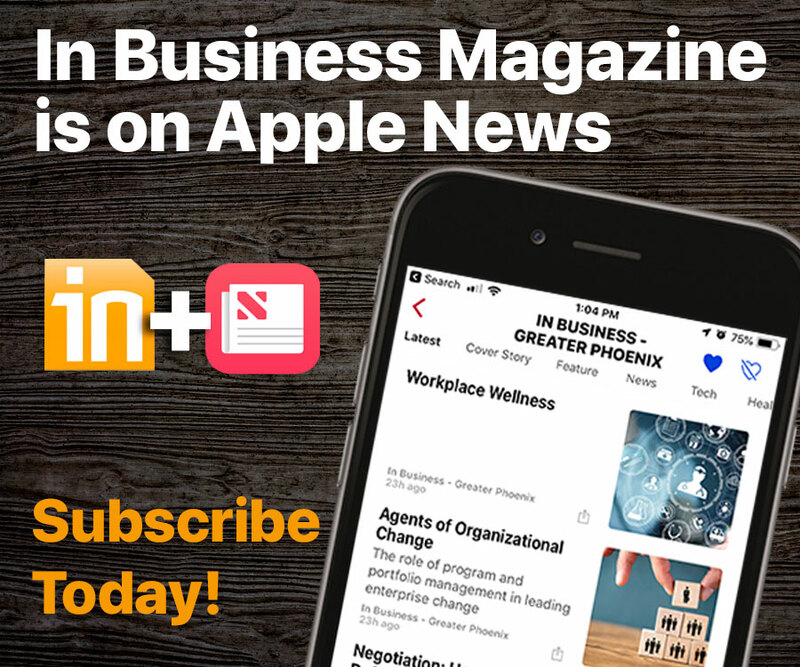 Entering our eighth year as a strong business brand here in the Valley, we will continue to seek greatness in developing relevant content and innovative dissemination of that content through our website (inbusinessPHX.com) and our mobile app. Wishing you a prosperous new year, I’m pleased to help bring you this issue and hope you enjoy the read. Rick McCartney is president and CEO of InMedia Company, a media technology company, and is responsible for producing many local, regional and national brands and media products. Brands include In Business Magazine; the Vicinity magazines; numerous community publications; and digital brands, mobile apps and marketing products. He is deeply involved in the business community, working with many of the economic development organizations and startup groups. 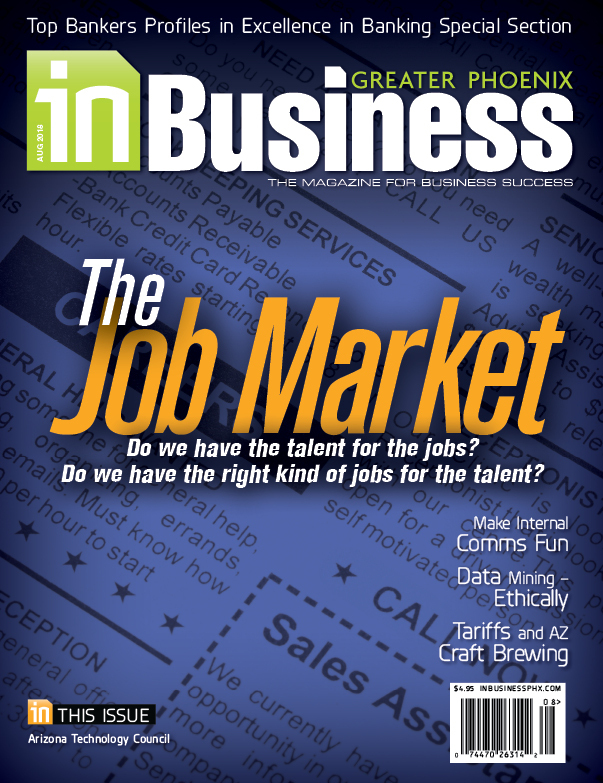 In Business Magazine was developed to bring the business community together to empower business in the Greater Phoenix area and to elevate our place in regional and international business.